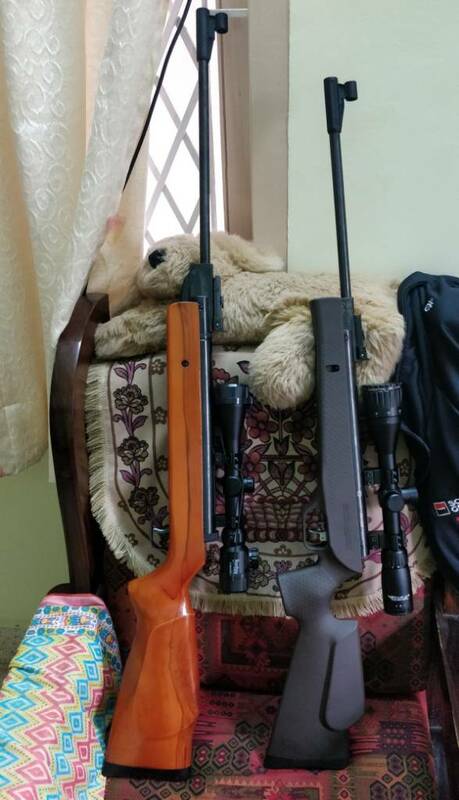 i bought a Walther LGU Master recently, looking to purchase a good quality scope for it, where can i get good ones in india. i dont want to waste my money on fake ones flooded in the market. seems nobody is interested in commenting. You can check at Airgun Bazaar. They may have some scopes in stock. Got a BSA essential 3-9x40 from AliExpress . 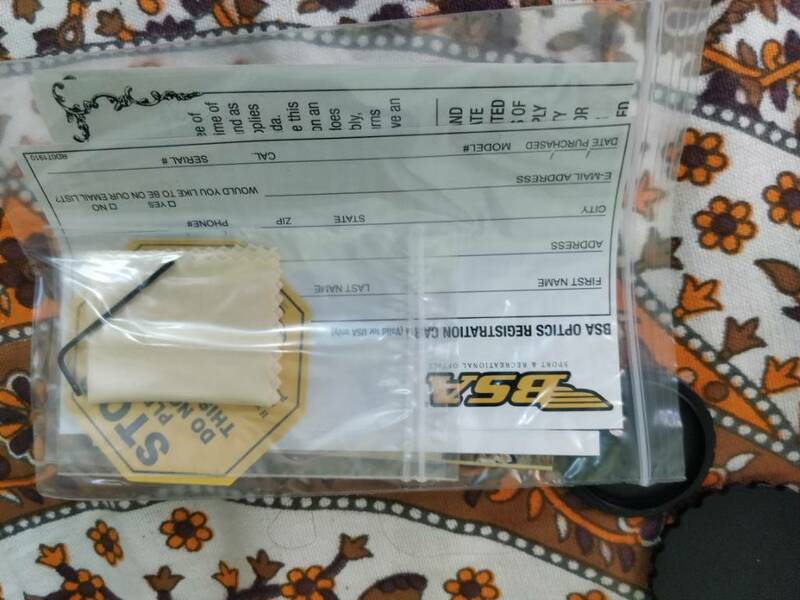 Got it to Bangalore without any problems. It's the one on the precihole NX100 .you could check that out. 1500+ shots holds zero , and has a clear field of view. The other one is a Bushnell copy sourced locally but the image is not as clear as the BSA essential. thank you guys, i went ahead and bought on discovery VTZ 3-9x40. hope it does what it says. Last week, I have purchased Precihole NX100 Polaris - Felt happy - But not yet tested beyond 10 feet.. I know right now my comment might seem baseless to you, but as a user of scope I'd recommend you not to buy one for an air rifle. It looks real nice, makes shooting very convenient too. But that is exactly its problem. It takes the challenge out of shooting making it just too easy. So, unless you have a very long shooting ground, to the tune of 100 m, don't buy one. I have two scopes. Nikon P223 3x 32 mm and Tasco 3 - 9x 40 mm. I got both from Amazon.in, as per invoice both were dispatched from US. Never faced any problem with Customs. I live in Jammu. 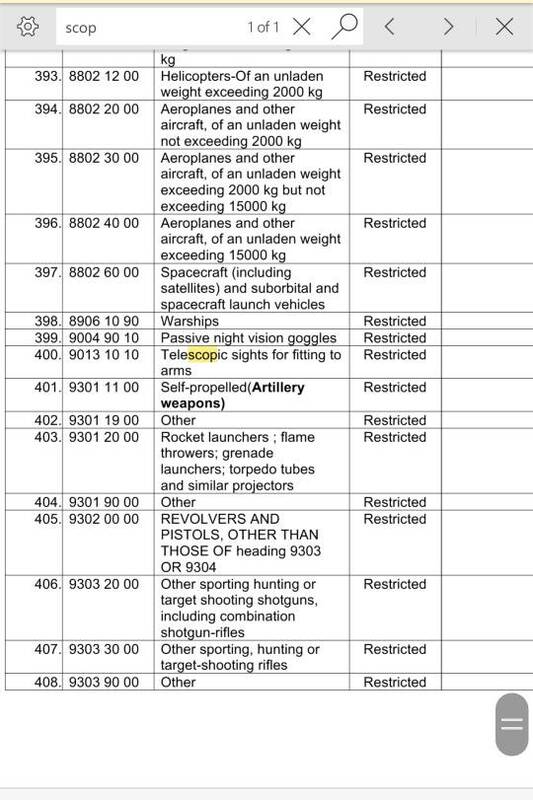 I took a chance since these items are restricted .But luckily I had no problems with customs on this parcel. I took a chance since these items are restricted . I don't believe Riflescopes are restricted in India. If they were restricted then it would have been very difficult to import them. And all imports would have been seized. Its just that Customs Dept do not have correct info and common people are harassed by the process. I actually found this from DGFT website as a downloadable PDF and it says restricted not prohibited. So as per my knowledge if the required criteria is fulfilled it can be imported not otherwise. ashwin1627 wrote: it says restricted not prohibited. So as per my knowledge if the required criteria is fulfilled it can be imported not otherwise. Thanks for the info. It was new thing to learn. But what is the criteria? bashmys wrote: i bought a Walther LGU Master recently, looking to purchase a good quality scope for it, where can i get good ones in india. Congratulations on your new rifle! I am looking to get a Walther or Diana myself. 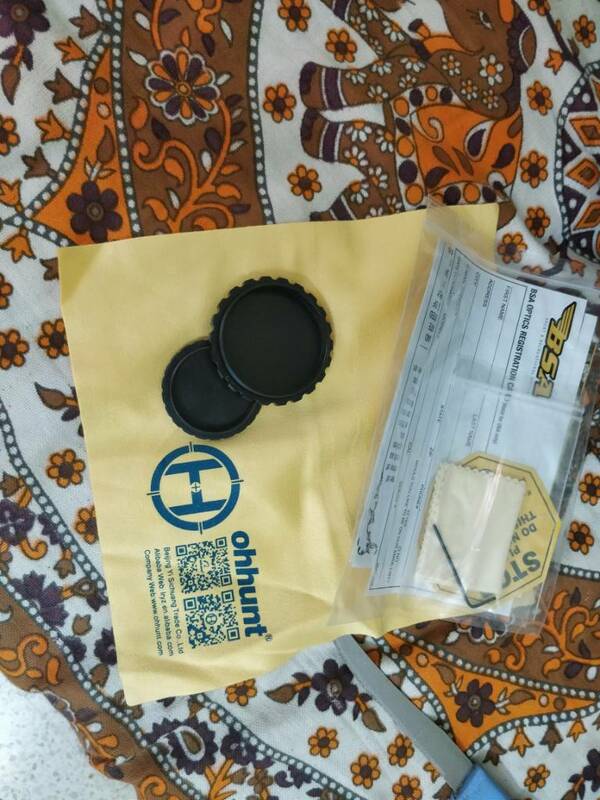 Did you get yours from some website in India? If yes, which one was it? Did you look at/tried some other rifles as well, and chose this one? If yes, which ones were they and what made you choose Walther LGU? Also, would you tell us your experience with this rifle so far? Is the difference in smoothness and power as compared to an Artemis or Precihole immediately perceptible? Also, are the spares readily available for this rifle? I heard from a nearby dealer that under lever air rifles can be tricky to repair with regards to their breech/piston seals. Is it true? 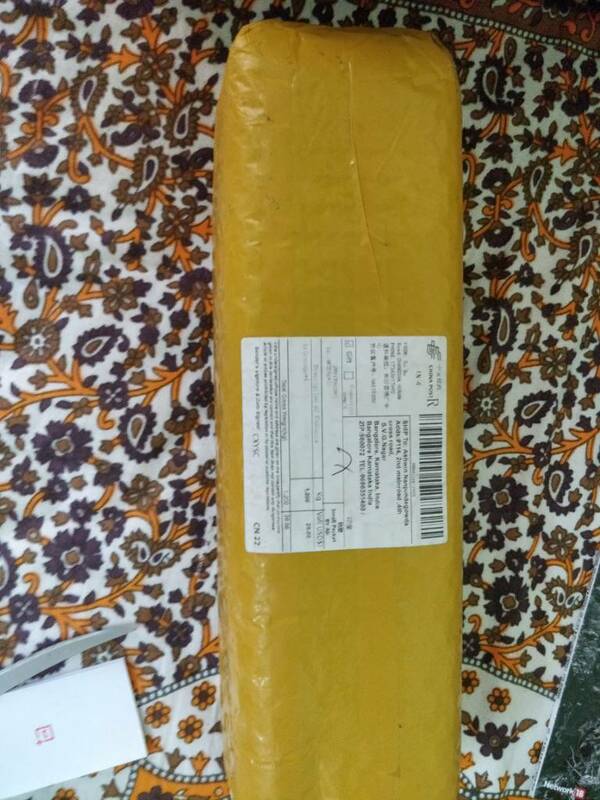 Thank you, i got mine from Kiehberg.in they are really fast.i had Diana Magnum 350 too but not in India.currently i am out of India and hopefully will back during July then only i can lay my hands on her. i have read about walther LGU its very precise being under-lever it has an advantage of perfectly aligned barrel. spares i think are readily available.